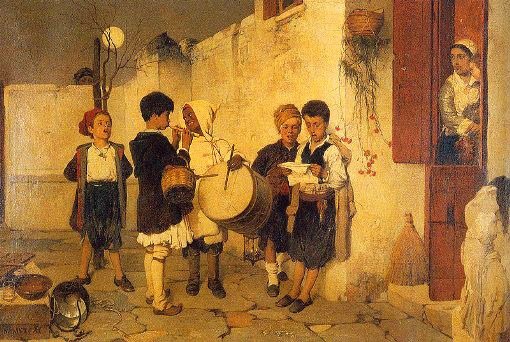 Christmas Customs in Greece are many as this holiday is vividly celebrated. Most of these customs and traditions date from the early Christian times or they are even continuations of ancient Greek customs. A walk in the towns and villages of Greece during Christmas will bring you to decorated squares, streets, shops and houses. 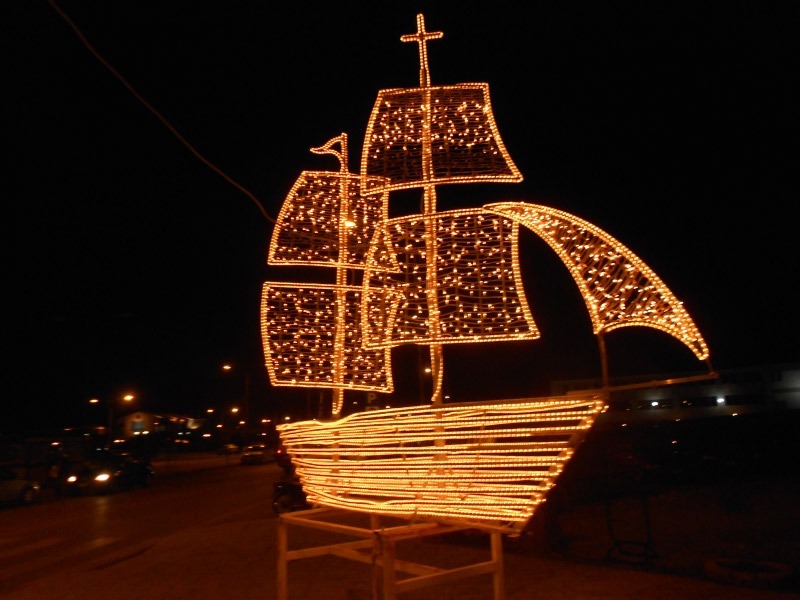 As this is a maritime country, the Greeks traditionally decorate boats for Christmas. This custom survives today in seaside towns and islands, where people decorate Christmas boats in the central squares. The Christmas tree is a foreign custom for Greece and it was brought by Otto, the first king of the country, who was of Bavarian origin. Over the years, the Christmas tree was integrated in the local cultural and now the Greeks decorate fir trees in their homes and in squares of mountainous towns. The mornings on the days before Christmas and New Year, children in groups go from one house door to the other to sing the carols. Every region has different Christmas carols but everywhere the lyrics are joyful and wish luck and prosperity to the family members. When signing, children usually hold little metal triangles and drums. St Basil’s Cake is prepared for the dinner of New Year’s Eve. Some families in the villages cut the cake after the lunch on January 1st, but most families cut it right after the coming of the New Year at the midnight. 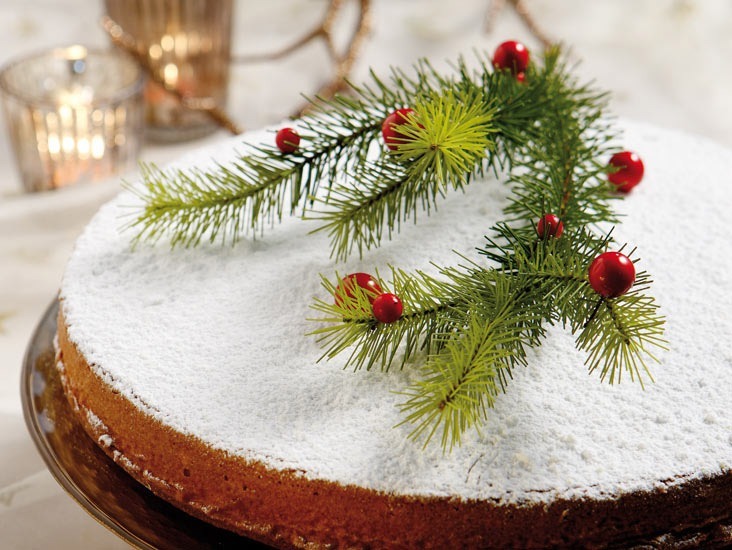 This cake, called vasilopita in Greek, is dedicated to Saint Basil, who is the Santa Claus in the Greek tradition and brings the gifts to children that first night of the year. Traditionally St Basil’s Cake has a golden coin inside. The person who finds this coin in his piece is considered lucky for all the coming year. After midnight on New Year’s Eve, the family and friends gather around the table and the householder or housewife starts cutting the pieces. The first piece is for Christ, the second for Virgin Mary, the third for the house and then the householder cuts pieces for the members of the table by order of age. In the villages of mainland Greece, the householder cuts a piece for the livestock and the fields of the family, if they have any. In the islands, they cut a piece for the boat or the mill, if they own one. 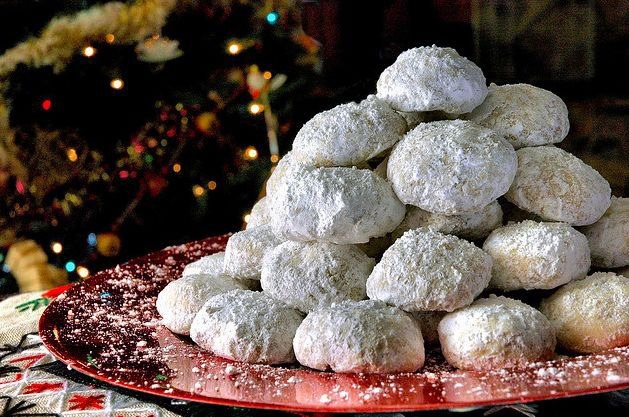 Other traditional Christmas sweets are melomakarona, kourabiedes and diples. Melomakarona have their roots in the Byzantine times, while kourabiedes have Ottoman origin. These two are the most characteristic sweets of Christmas that all housewives prepare. Diples are also prepared in various regions. According to the Greek folk tradition, from Christmas Day until the Epiphany Day, hobgoblins that live underground come up to the Earth to tease and play pranks with people. These hobgoblins (kallikantzari in Greek) are little monsters with bandy legs and arms, hunched backs, large ears, strange eyes and all kinds of deformities. All over the year, the hobgoblins live under the ground and saw the tree of the year. Around Christmas, when their sawing is nearly done, they go up to the world. On Epiphany Day, the village priest goes from house to house around the village and sprinkles with blessed water the rooms of the houses so that the hobgoblins return underground. Since the ancient times, the pomegranate has been the symbol of good fortune, youth and fertility. 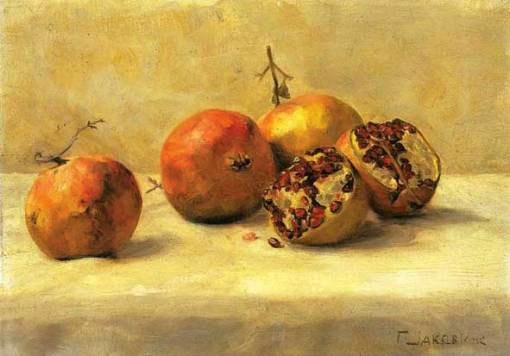 In many Greek villages, on New Year’s Day the householder stands outside the front door and breaks a pomegranate hitting it hard on the floor so that the seeds spread everywhere and bring happiness, good health and abundance to the members of the family.